This Mod Is exactly what it sounds like. 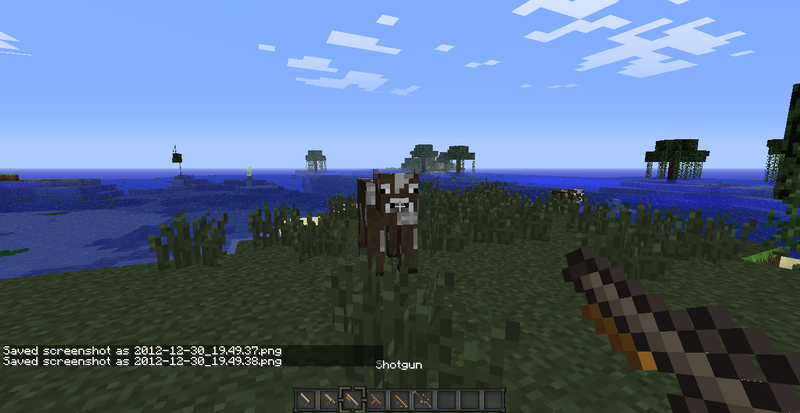 A Basic Gun Mod for Minecraft. Each one of these has at least three attachments or more that you can choose to put on them. Be careful as each gun can only have attachments added once and they can't be reversed. This mod works with NEI (Not Enough Items) so if you dont know how to craft anything you can use that with my mod. Sorry there hasn't been an update in a while. I started college last semester and haven't had much time to work on this since then. I am starting work for the 1.8 update but i will have to redo most of the code. Because of this i will not be adding new features right away, but will try to get a working version up as soon as possible and then work on improvements from there. It would be nice to know what you guys want in this new update so if you want, download the 1.6.4 version and see what improvements you would make. 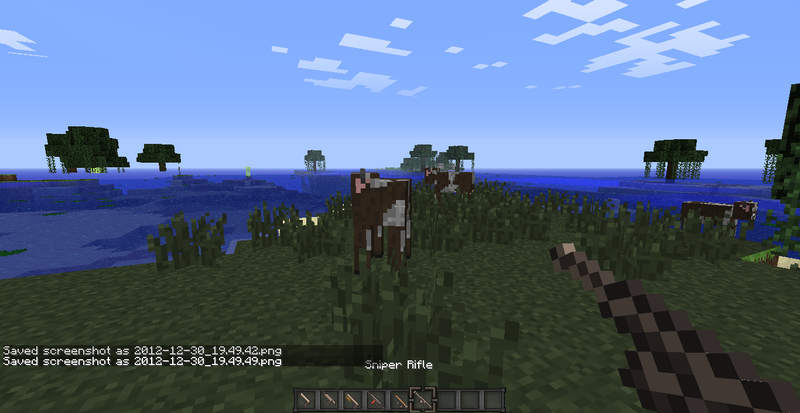 I have already started work on fixing the sights with new images as well as improved crafting and reloading mechanics. Thanks for your patience, and watch for new updates. 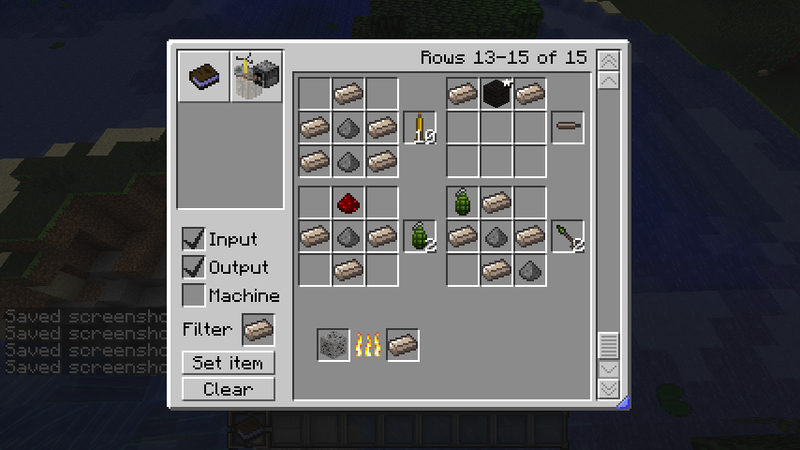 -Bullets Now Break Up to 3 layers of Glowstone & Glass Panes or 2 Layers of Glass blocks! -Gun will not shoot when leaving menus! -Player wont break blocks while shooting! A little stuck right now. I am trying to make it so the guns need a magazine to work. You press 'r' when you have a mag and it loads the guns durability bar. 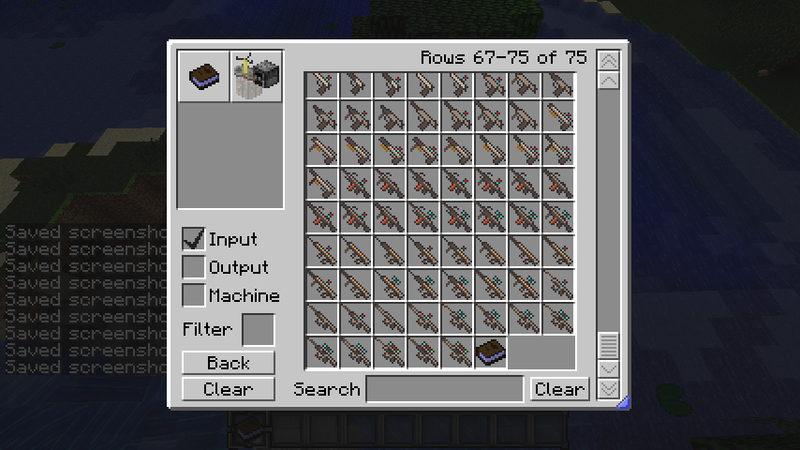 I got the guns to have durability but it resets when dropped or the game is reloaded. If anyone knows how to fix this send me a message so i can get it working. 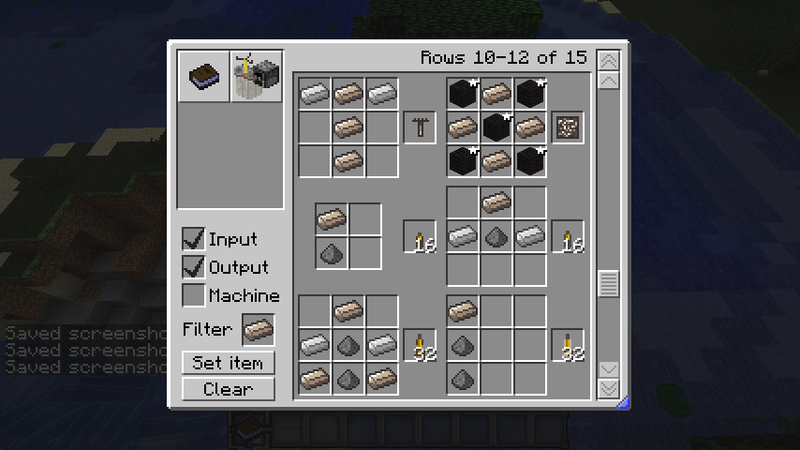 IMPORTANT NOTE: Unrefined Steel Must be CRAFTED on the crafting grid. Recipes are at the bottom under Recipes! 1. Download the RECOMMENDED forge installer version. 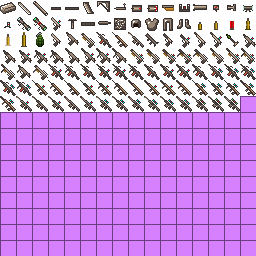 All the guns with attachments. 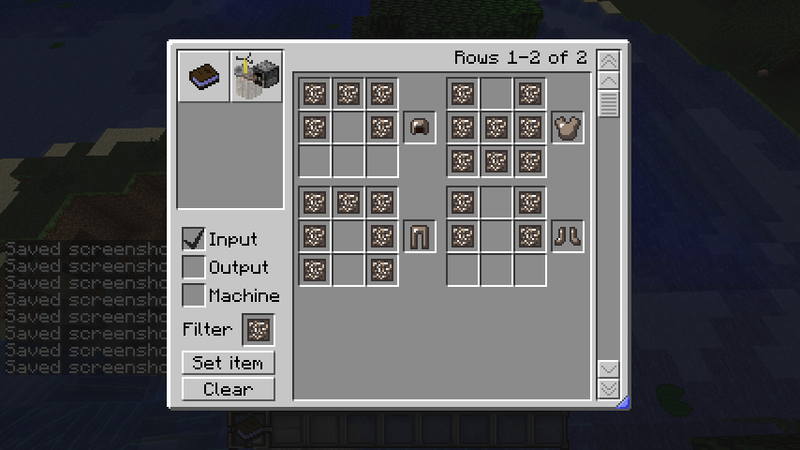 As i said before you get one chance to put on all the attachments you want so have them all ready when you craft them the first time. I used Uristqwerty's Crafting Guide Mod for the screenshots. His mod is awesome for mods that add a lot of content. 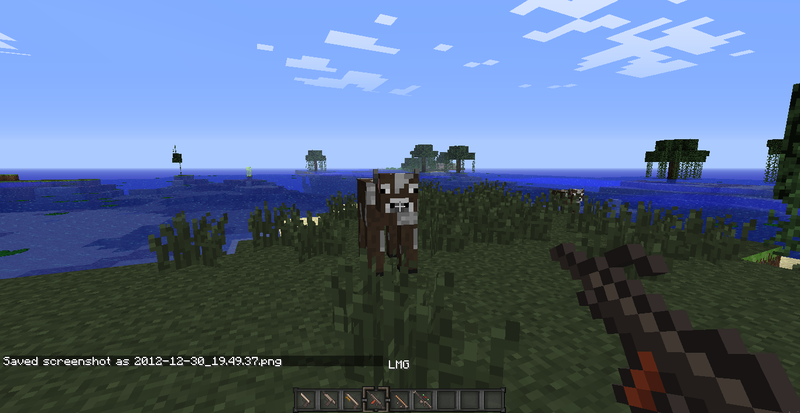 Here is the link to his mod if you want to use it instead of NEI. 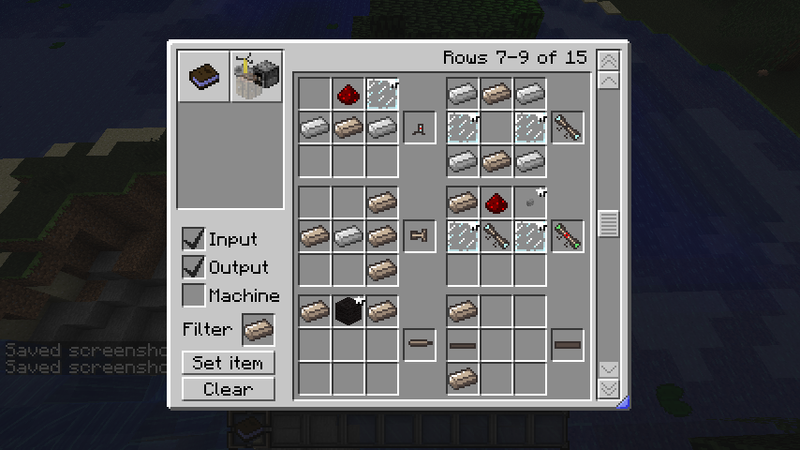 -Bullets Now Break Up to 3 layers of Glass, Glowstone, & Glass Panes! The biggest things in this update is the recoil and the added gun combos. The recoil has been greatly reduced and no longer makes it impossible to use the Assault Rifle and the LMG. The foregrip is still a valuable attachment but the recoil is more realistic. I also Added the Foregrip, RDS combo for the SMG, Shotgun, LMG, And the Assault Rifle. If you have any trouble please post and i will try to help you out. Also if you have any suggestions/changes you want/have dont be afraid to tell me. If you want to make a mod review just send me a message to let me know and when you are finished please send me the link. This mod is also going to be used a map i am making. It is called zombies and is modeled after CoD Zombies. It is nearly finished as all i have to do is change the swords to guns. This map is a lot of fun and has shops, a mystery box, and even a kennel! Please check it out it is super fun to play. OWNER - ARandomHobo37, Original author(s) of the MOD. 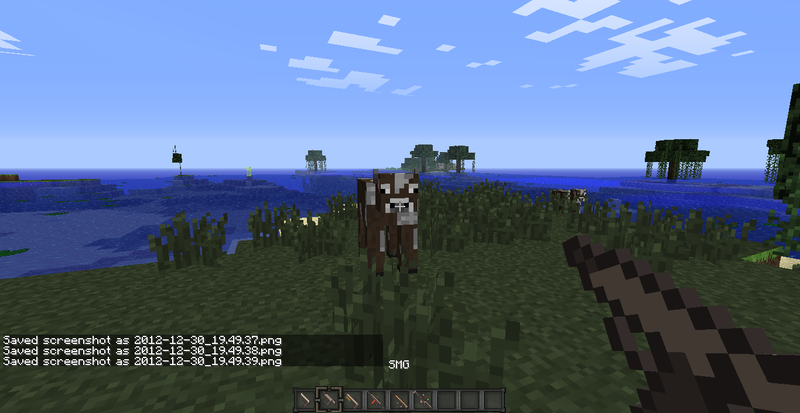 Under the copyright terms accepted when purchasing Minecraft (http://www.minecraft.net/copyright.jsp) the OWNER has full rights over their MOD despite use of MOJANG code. nice and simple. Just how I like it! 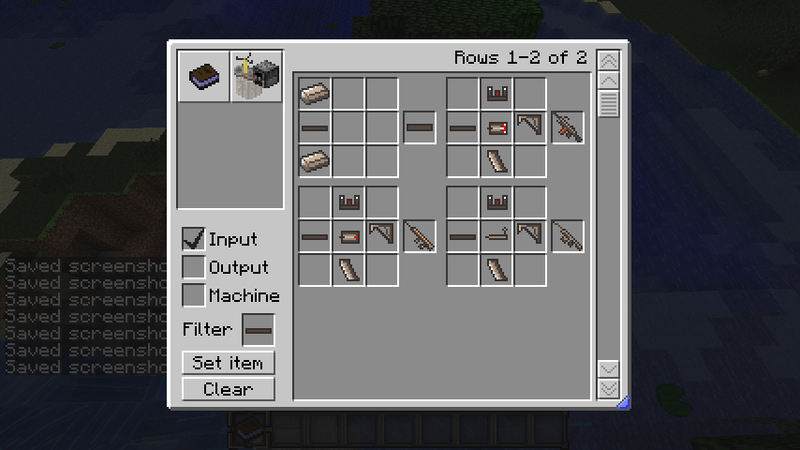 It has all the basic guns, and it isn't too complex! 1.) 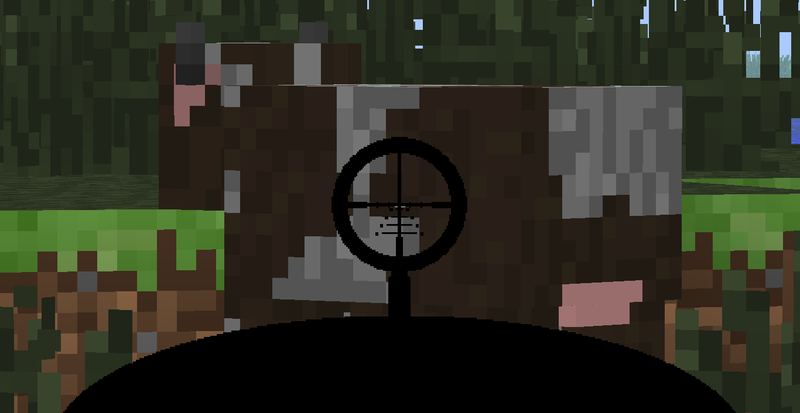 I sugguest that you can zoom the sniper in? like, maybe when you left click with the sniper, you zoom in or something. 2.) Could you provide crafting recipes on this page? There are i think four different sights available for the guns. the scope works by right clicking. I suggest NEI but i will try to put up the recipes. Thanks it took me about a month to do since i am still learning. Hey guys i am thinking of adding steel tools to my mod. It would be slightly better than iron and have a longer durability. Tell me what you think and if that is what you want. I might also add steel armor. I find the recoil is a little too high for the bigger guns. An LMG may have a good kick, but it doesn't fly into the air due to the weight of the gun. If you fire and an LMG does that in real life, then you shouldn't fire an LMG. The assault rifle is too hard to control with its recoil. Some of use can't affort a new mouse from spamming downward trying to hit a skeleton that took a crack shot at our backs. The sniper is (Somewhat) understandable, but a tad too high. Other than that, this mod is so far my favorite gun mod due to all the mechanics in play and the simplicity of the mod. A minor notice though, I noticed there is no standard barrel SMG with a foregrip AND a red dot sight. Is there any possibility you can include a config file in the next update? Config file for what? the Item ids or other gun stats? For Item Ids and what not. Normally I shy away from the gun mods, but this one does look pretty nice. Do you think it would be possible to allow compatibility with Railcraft's steel? At least an option to do so? Since steel production is much further down the line with the RC, it would make obtaining the guns feel a bit more epic. hey everything's awesome except when i press the right mouse button it just shows a black screen, what should i do. i drug everything into the minecraft.jar. Im not exactly sure how to do that. If you have any ideas let me know and ill look into it. WOW!!! THANK YOU SO MUCH!!!! finally a gun mod that is not to complex, but really really AWESOME!!! great work! Can't wait for the map! Woah! Dude this is epic!